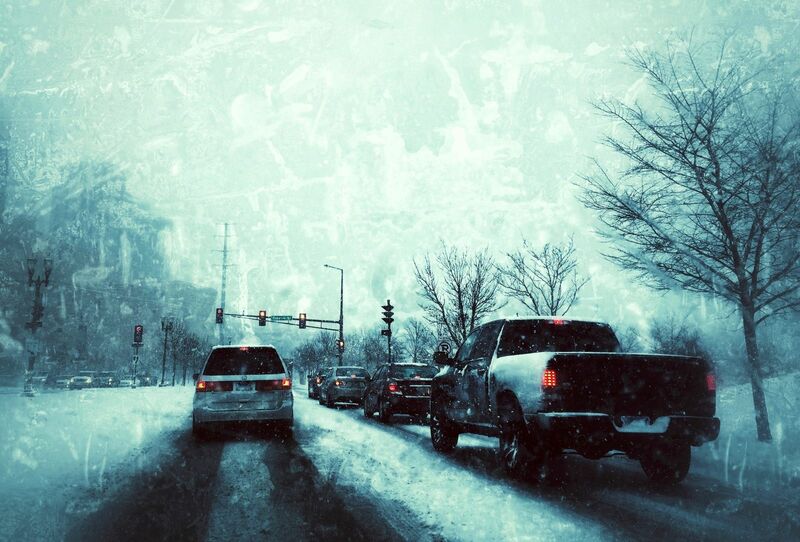 Snow has begun to fall, and the cold weather has set in, are you and your car ready to drive in the winter weather? According to AAA there are a few easy things you can do to make your travels safer. - Always look and steer where you want to go. Another good tip is to always keep your gas tank at least half full to avoid gas line freeze-ups and if you happen to get stuck in an unpopulated area you will be able to keep your car warm. A common mistake people still do while driving is using their cruise control while driving on a slippery surface. Cruise Control’s purpose is to maintain a constant speed, so when your wheels begin to slip, your car will start to accelerate. This will make it difficult to gain back control of your vehicle. If you are planning long-distance travel, extra planning is a must before you head out. Know what the weather will look like not only at your destination but also along your whole route. As an extra precaution, let others know your route and arrival time in case you do get stuck or if there are any delays coming up in your travels. In the event that you do become stuck or snowbound stay with your vehicle, as it not only provides a great landmark, but it provides temporary shelter. While you are waiting for help don’t over exert yourself trying to push or dig your way out as you may become fatigued or hurt on top of being stranded in the snow. You should also put on any extra packed blankets, gloves, and hat to insulate yourself as best as possible and have a back-up cell phone battery charger readily available. You should then make sure your exhaust pipe isn’t clogged to avoid carbon monoxide gas to leak into the car and if possible, only run the engine and heater just long enough to remove the chill in the cabin so you can conserve gas. -Accelerate and decelerate slowly. Don’t be in a hurry and take your time to slow down for a stop light. -Don’t stop while going uphill. Make sure you have plenty of inertia to get up the hill and when you reach the crest of the hill reduce your speed and go downhill as slowly as possible. -Know how well your brakes work. While you normally should keep a following distance of three to four seconds on dry pavement, you should increase your margin of safety and extend it to eight seconds of distance. -Drive slowly! Everything will take longer on snow-covered roads, so always give yourself extra time to safely maneuver on winter roads. -STAY HOME. If you don’t HAVE to go out, don’t. Snow makes driving more dangerous and even if you can trust yourself in the weather, you can’t always trust other drivers. If you end up in a winter car accident and suffer injuries, you should think about protecting yourself and your rights under Iowa law. You may or may not need an attorney in your Iowa car accident case and we will tell you straight-up if we think you do not. You are welcome to call our office at no cost or risk for a Car Accident Evaluation at 641-792-3595. If you prefer to learn about your rights before you speak with an Iowa personal injury attorney, then request our book at www.IowaCarCrash.com. Our book exposes 7 Secretes to Not Wreck Your Iowa Car Accident case, how to find a qualified personal injury attorney for your case and much more.